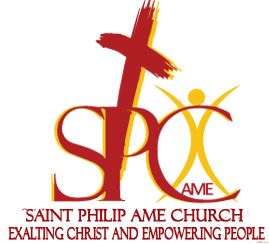 The Sanctuary Choir of Saint Philip African Methodist Episcopal Church was organized in August of 1976 by Pastor George Moore. The choir was originally named the “Voices of The Sanctuary” then The George Moore Ensemble and later became The Sanctuary Choir. The Choir is a spirited and talented group of Christians committed to spreading the gospel through Contemporary Music. Mr. Bennie Wright was elected as the First president of the choir and he served faithfully for 3 1/2 years. 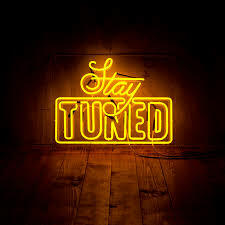 Numerous faithful members have served as President including Marvin Sykes, Jonathan Jones, Luther Latten, Richard Yancey, Carolyn Benson, Paula Lynch, Gregory Brown, Yolanda Dubose, Gregory Neal and currently Phyliss Burrell. 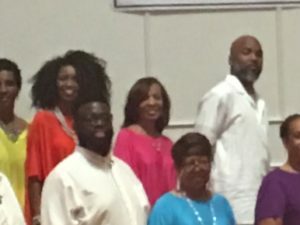 The Sanctuary Choir is recognized as a leader in the Atlanta community and acclaimed as one of the finest in the AME Connection. 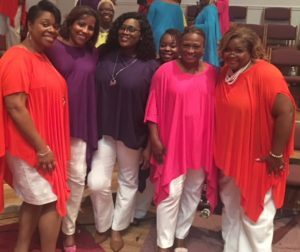 In addition to its regular worship responsibilities, the Sanctuary Choir has participated in several citywide events uplifting the name of Jesus. In 1982, the Choir sang with the Mass City Choir at the Inaugural Ceremony for Mayor Andrew Young. 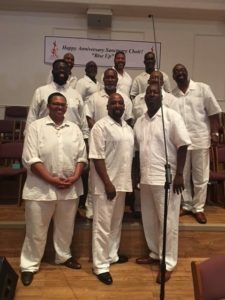 The choir has also sung in events such as the National Days Inn of America Convention and the King Fest Celebration at the Martin Luther King Jr. Center for Nonviolent Social Change. The Choir has appeared with such artist as Ester Smith, Wando Nero Butler, Lecresia Campbell, V. Michael McKay, Keith Pringle, Kathy Taylor, Kurt Carr and on the stage as the choir in the stage production of Black Nativity. 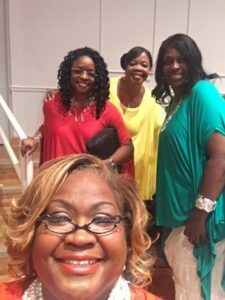 The choir has shared its ministry of music throughout the Southeast and in cities such as New York, Washington D.C., Saint Louis, Chicago, Kentucky and Florida. In 1991, The Sanctuary Choir recorded its first album “I’ll Tell The World” and also received national recognition. On December 8th, 1990, The Sanctuary Choir presented its first concert in community outreach collaboration with The US Marines to give Toys to needy children toys during the Christmas Season. After accessing the needs of the Saint Philip Families, The concerts later renamed Joyful Noise for Toys became the officially name of the Popular Holiday Concert. The annual concert (now in its 28th Year), continues to help thousands of children with toys for their Christmas Time. The Sanctuary Choir rehearses on Mondays at 7:00pm and ministers on Third Sundays.